Comments: Peter Johnston White is shown here in his uniform as commander of the R.E. Lee Camp of Confederate Veterans, Richmond. Peter posed for this painting by John P. Walker on the occasion of his golden wedding anniversary on December 12, 1924, and the original oil painting now hangs in Battle Abbey, Richmond, Virginia. Despite his youthful age of 14 years, Peter enlisted in Company G, 5th Virginia Cavalry on July 24, 1864, and participated in numerous engagements with Fitzhugh Lee's cavalry during the last year of the Civil War. Peter was born in Scottsville, Virginia, on August 28, 1850, and was the son of Peter Johnston White II and Martha Adams of Scottsville. When he was one year old and prior to the birth of his younger brother, William C. White, Peter's father died. His mother subsequently remarried Mr. Pleasants, who was a close kinsman of Governor Pleasants of Virginia (1822-25). During the Civil War, Peter's cousin, Portney Adams, was called to service with the Confederate Army but was ill with typhoid and unable to respond. It was then the custom for another member of the family to substitute for any family member unable to serve in the army. Upon persistent urging by young Peter, his stepfather reluctantly yielded and allowed Peter to take his cousin Portney's place. Peter reported in, stating his birth date was July 24, 1848, and was assigned to Company G, 5th Virginia Calvary. He participated in numerous engagements and served with distinction. At the war's end, he was only 15 years old. After the war, Peter returned to Scottsville and later lived at Red Hills in Fluvanna County, Virginia. Peter married Frances Moseley of Prince Edward County, Virginia, in 1874. After their wedding, Peter and Frances White lived at 103 South Third Street in Richmond, Virginia, until Peter's death in 1933. He was a member of Grace Episcopal Church and is buried at Hollywood Cemetery in Richmond. The painting was done many years after the war at the request of the Virginia Historical Society, who wanted it hung in the Battle Abbey. This honor befell Peter not only for his distinguished wartime service but for his great contributions in later life to Virginia and to the Confederacy. Peter became a prominent Richmond architect, who was generous of his time and substance throughout his life. He served for many years on the board of the Confederate Soldiers Home and remained active until his death in helping locate, edit, correct, and erect historical markers of various Civil War sites throughout the state of Virginia. After the war, Peter served on a commission to study and review available war information, including interviews with surviving witnesses of the engagement between the Merrimac and the Monitor. Peter also served as Commander of the Robert E. Lee Camp No. 1, Confederate Veterans, Richmond, in 1924. "I have never forgotten the battle fought near Winchester, on the Berryville and Martinsburg roads, September 19, 1864. The Confederate army, commanded by Gen. Jubal A. Early, was outnumbered four to one, yet made a heroic and very nearly a successful struggle to maintain its position from early dawn till sundown, holding its own in the center with obstinate valor while both wings were bent back like a crescent." "The Confederate army occupied an open plan and a position easily flanked on either side, a most unfortunate situation, considering the great odds to which we were opposed, and which was finally the cause of our undoing, when the Federals were unable to force our lines in front. 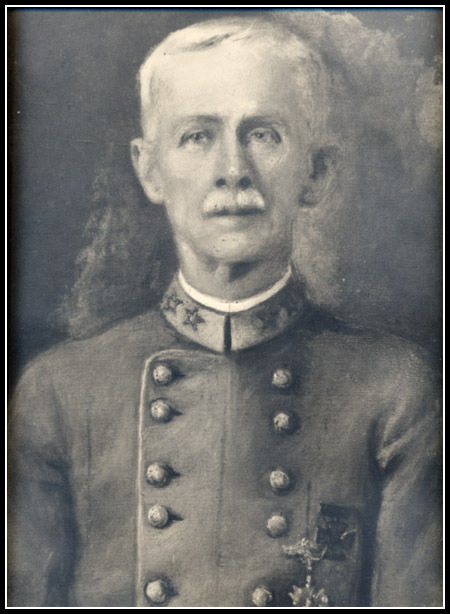 Col. Thomas H. Carter, General Early's chief of artillery, said to me on one occasion that it was the hardest stand-up, all-day fight he was in during the war. The day was ours, the field having been held against the repeated and desperate assaults of two army corps, each outnumbering our whole army, with heavy losses on both sides, until late in the evening when a heavy body of cavalry, as large as our whole army and accompanied by fresh bodies of infantry, all newly arrived upon the field, advanced against our left flank on the Martinsburg road. This overwhelming force it was impossible to stay with the handful of men that we could oppose to it. Yet our lines fell back in good order, and we passed through Winchester as the setting sun was sinking behind Fort Hill, reflecting with its departing rays the flashing sabers of ten thousand Federal horsemen against the evening sky--a most magnificent though hostile array. Gen. Fitzhugh Lee is inseparably connected with the events of that day. How well do I recall his soldierly figure on the field of battle as, followed by his staff and astride his beautiful mare, Nellie Gray, he led us across the field from right to left! Later he went down with a grievous wound, and poor Nellie Gray was mortally wounded." At one time our little division of only two brigades was widely separated, one brigade being upon each flank. This in a large measure was our salvation, in my opinion, Wickham's Brigade, from the right, being able to reach and occupy Fort Hill before the Federal cavalry, which had passed us on our left, could do so, and thus keep them out and the way open for our retreat. From the field where Jackson and Ewell, Taylor, and Wheat won imperishable fame, the Confederate army slowly retired, never to return." Peter J. White, Confederate veteran, uncle of L. Gordon, R. B., and E.O. White of Scottsville, died last Friday night at his home in Richmond after a brief illness. Funeral services were conducted at 4 o'clock Sunday afternoon at Centenary Methodist Church, which he had attended for more than half a century, and burial was in Hollywood cemetery. The active pallbearers were L. Gordon White, E.R. White, E.O. White, R.B. White, William Jackson, and James L. Alderman. Honorary pallbearers were the board of stewards of Centenary church, members of R.E. Lee camp, and the Soldiers Home board. Mr. White was born in Scottsville 85 years ago. At an early age, he joined the Fifth Virginia regiment, Fitzhugh Lee's cavalry, and served with distinction in the war between the states. At the close of the war he attended school for two years at Pinewood Academy, near Scottsville, with his kinsman, the late Senator Martin. He was in Baltimore from 1867 to 1872, where he studied architecture at the Maryland Institute. He then came to Richmond to establish himself in his profession, which he pursued until his retirement from active work 12 years ago. There he planned and superintended some of the finest and most costly residences and business structures. In 1909 he was elected commander of R.E. Lee camp, Confederate Veterans, which position he held to the time of his death. He was also secretary of the portrait gallery committee of the camp, and a member of the board of the Soldiers' Home. Mr. White is survived by his wife, who was Miss Fannie Hopkins Mosely, member of a prominent Prince Edward county family; by a sister, Mrs. Edward Jackson' by a grandchild, Orrin Banks White, Jr.; a niece and six nephews. Source: an unidentified newspaper, 1933. The photo above is part of the William C. White collection at Scottsville Museum. William is the nephew of Peter Johnston White III and the son of William Clinton White, a former Virginia State Senator, and Eugenia Eggleston Harris.